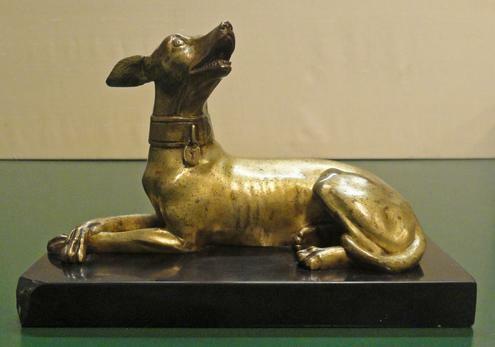 A Regency Gilt-Bronze Figure of a Reclining Greyhound - Hyde Park Antiques, Ltd. Wearing a broad collar; on a rectangular base. Marble base with chip to corner.